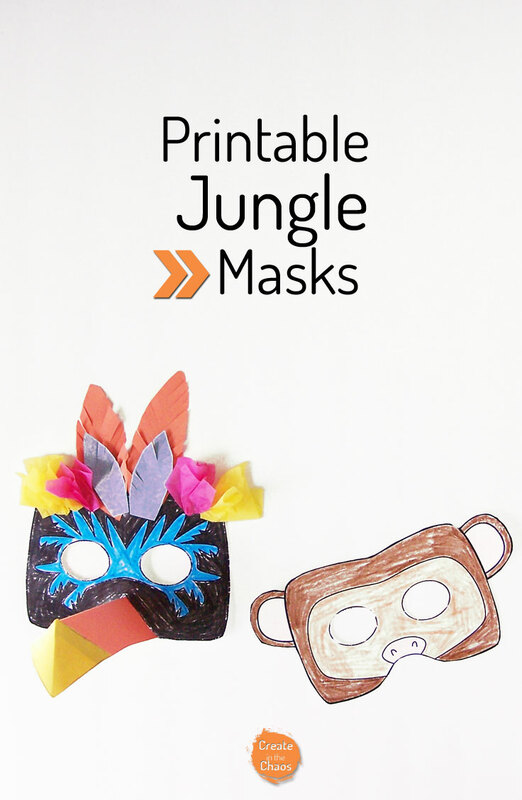 We made some printable masks to go along with the jungle we made. There’s a toucan mask and a monkey mask. My boys had so much fun with these. 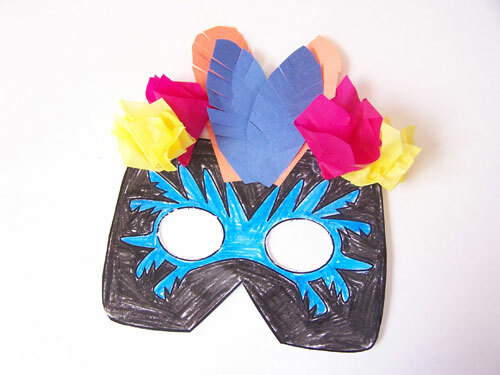 These make a great, easy kids craft as well as a fun craft for a jungle themed party. 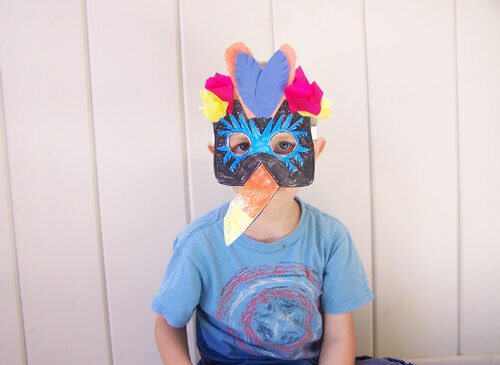 I also have a quick video tutorial for the printable bird mask below. You can download the free version of the printable masks when you sign up for my email list below, or you can grab the full-colored version of the toucan mask here in my Etsy shop. 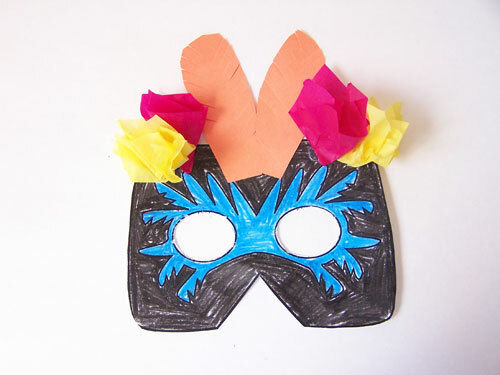 Click here to download the printable toucan mask. 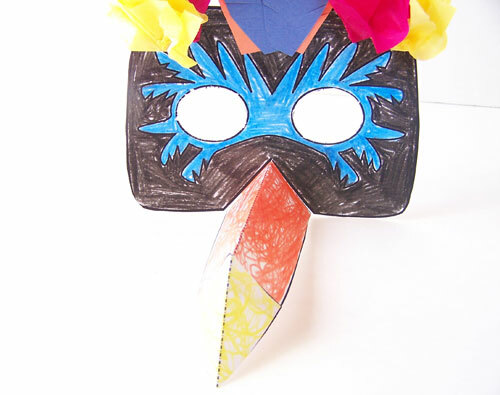 Or you can grab the full-colored version of the toucan mask here in my Etsy shop. 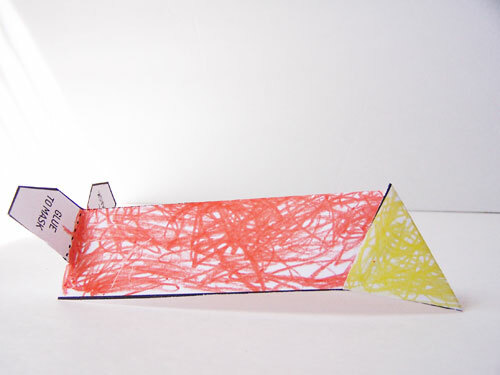 If your kiddos are anything like my crazy boys, I recommend printing on cardstock if you want them to hold up well! 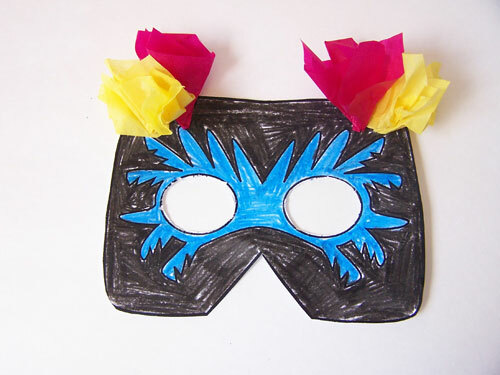 You can also use the printable as a template to cut the masks out of construction paper. 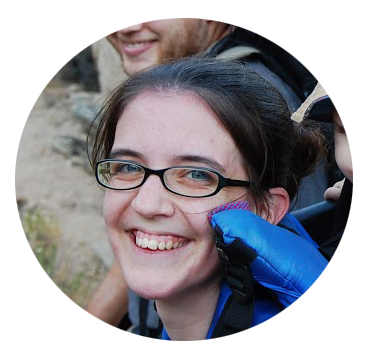 The monkey mask is pretty easy and self-explanatory. 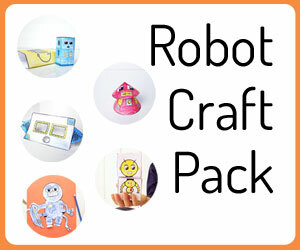 Color, cut out, and attach the strap to fit your kiddo. 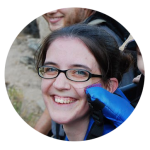 But I can also walk you through how the toucan mask goes together. 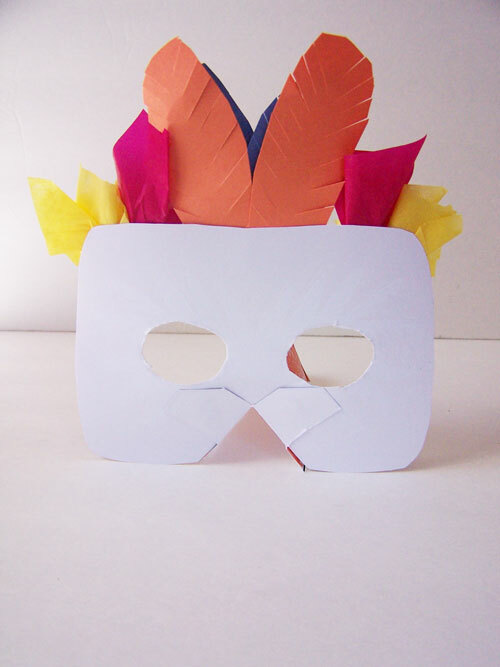 We attached some tissue paper and construction paper to create feathers along the top of the mask. 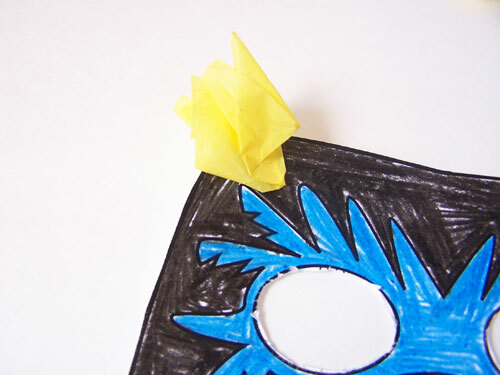 Cut out some small squares of tissue paper. Pinch them in the middle, and attach them to the mask. 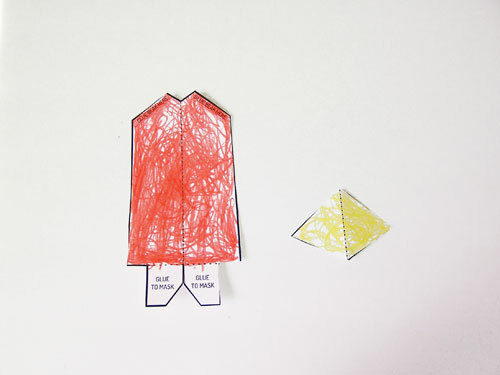 Cut long oval shapes, and snip them around the edges to create feathers. 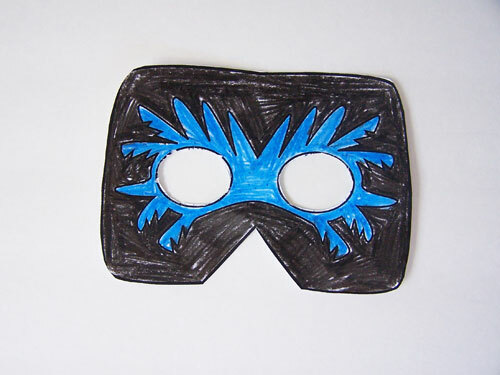 Glue these to the mask. Now it’s time to put the beak together. Color and cut out the two parts of the beak. 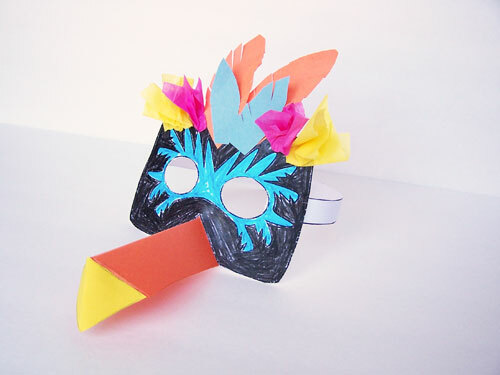 For one of the masks we made, we used this template and cut the beak out of construction paper. 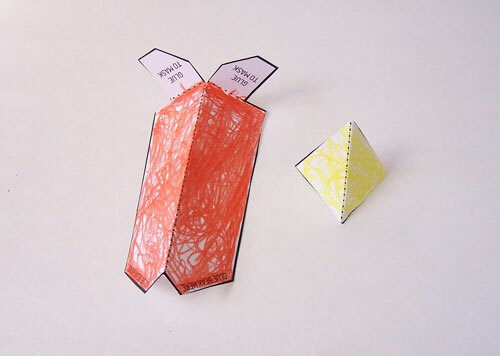 Attach the small tip of the beak to the large part of the beak. 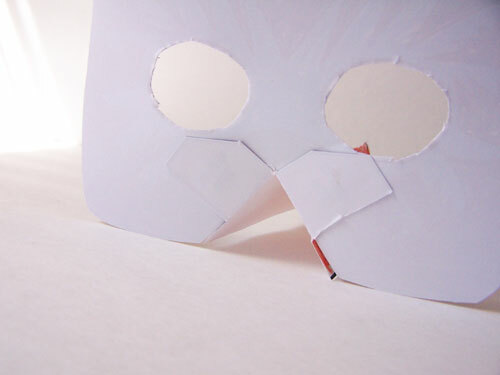 Attach the beak to the mask using the large tabs. And then it’s ready to go! 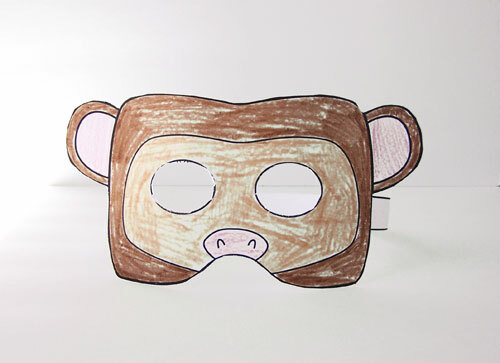 My boys loved these so much I might be making more animal masks in the future! Are there are any animals your kids would want to see? If you’re looking for a quick costume or the full-colored version of the mask, you’ll find the it here in my Etsy shop.